This has been on my radar for quite a long time! As long as 2 years. I first came across this caramel delight on Divya’s blog. Since then meaning to make this. Never came around to it. Finally I took the plunge for a potluck lunch I attended last month. And I must say the effort and the result was mesmerizing. It is so easy & the final outcome is very much in your hand. It is fun! There are 4 commonly used ways of making this caramel goodness at home, namely – Oven, Stove Top, Microwave & Pressure Cooker. I chose pressure cooker as I found it requires least work and only little bit of time monitoring, depending on the result you want. The time taken to cook is totally your choice. I felt my Dulce de Leche was thicker & darker than I wanted. So you may need to try a few times based on your own pressure cooker & set a time which gives the perfect desired consistency. But who is complaining, every batch is still great to spoon in or make recipes with. 1. Remove the plastic lid from the can, if any. Fill a pressure cooker halfway with water. Place the condensed milk can in it. The water should be enough to cover the can completely. 2. Place the lid of cooker along with the weight. Allow the pressure to build up and released through the whistle. Lower the flame and allow to cook for 15-20 minutes (including the time needed for pressure to build up). The timing will vary upon the end result you desire - thickness, color and taste. 3. Switch off the flame and allow the pressure to completely release. Open the lid & remove the can. Allow the can to cool completely. Once cooled, open it and use as you desire. I used a 5 liter pressure cooker. You would need this much or even 10 liter to submerge the can well. Do NOT open the lid of the can before cooking. The cooking time to vary as per desired result. The longer you keep, the thicker it would be. The taste would be stronger & color darker. I kept mine for 20 minutes and mine was very thick & dark. I prefer lighter in color & more runny, so I would be keeping it for 15 minutes or less. Use the cooking time & whistle as a guide. Allow the can to cool completely before opening or it may burn you. 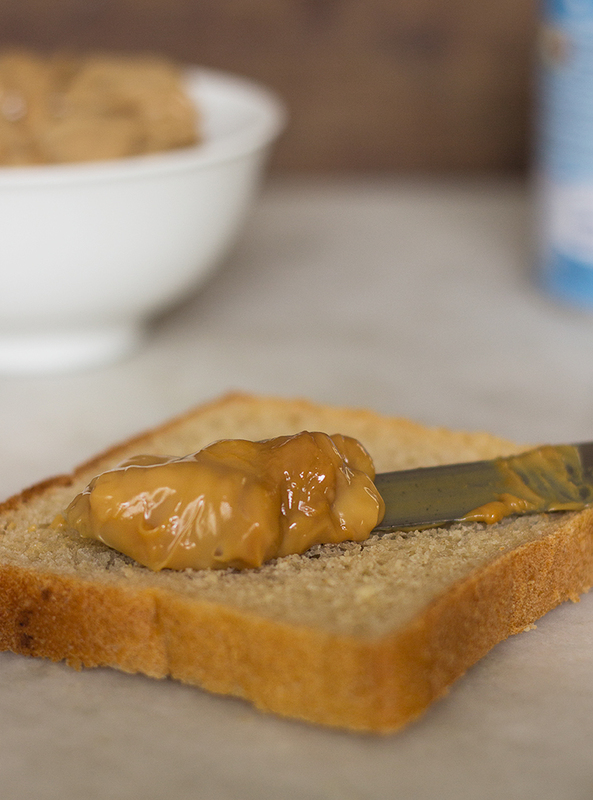 You can refrigerate the Dulce de Leche can for 1 month. If the sauce thickens, microwave in small bursts to achieve desired consistency.